It is very frustrating to have your glue gun become clogged right in the middle of a project. This is a guide about cleaning a glue gun. Is your hot glue heated, working one minute, but then not coming out, "stuck" in the glue gun? Rotate the glue stick from the solid, sticking-out end a couple times for the hot glue gun to continue working again. I was making some hair bows today and discovered this was an easier way to get my hot glue gun to work after using it for about 10-15 minutes. Without much success, I first pushed the solid end and squeezed the hot glue gun "trigger" at the same time, but rotating the solid glue stick part proved much easier. The turning of the stick was easier to coordinate since I twisted it, then it was ready to use/squeeze. I didn't have to do two things at once with the hot glue gun. And I was better able to control the amount of scalding hot glue, which was needed for little dabs and lines of hot glue during my hair-bow-making of lining clips and assembling ribbon into bows. I've also found that using a Popsicle stick as a sort-of putty knife to apply hot glue can help control the amount of hot glue desired for your use. A toothpick would probably work greatly, too. I hope this helps you and saves you from some hot glue gun burns and frustration. 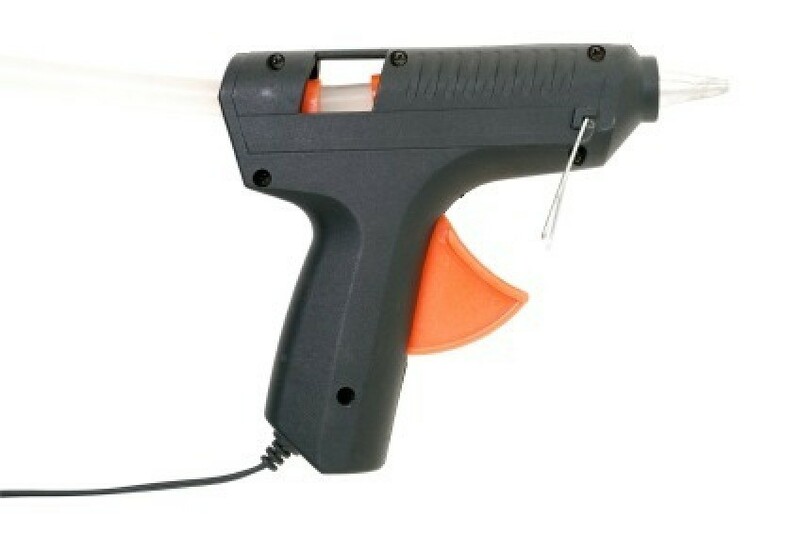 We can't live without glue guns, but they can certainly can cause problems. When you are finished with your gun, let it cool to the touch. Then take a dryer sheet (any brand will do) and wipe the tip and also the gun itself. You will be amazed how the dryer sheet cleans everything off. If you get hot glue where it is not wanted squirt some UN-Du on the dried glue. Use your finger nail or a butter knife to scrape it off. The glue removes easily. It will also work on something that has been washed and dried.